One minute they are cute and innocent and the next minute they become sulky teenagers who are too smart for their own good, want to exert their independence and prefer the company of their friends to their family. Just how do we navigate the murky waters also known as adolescence? 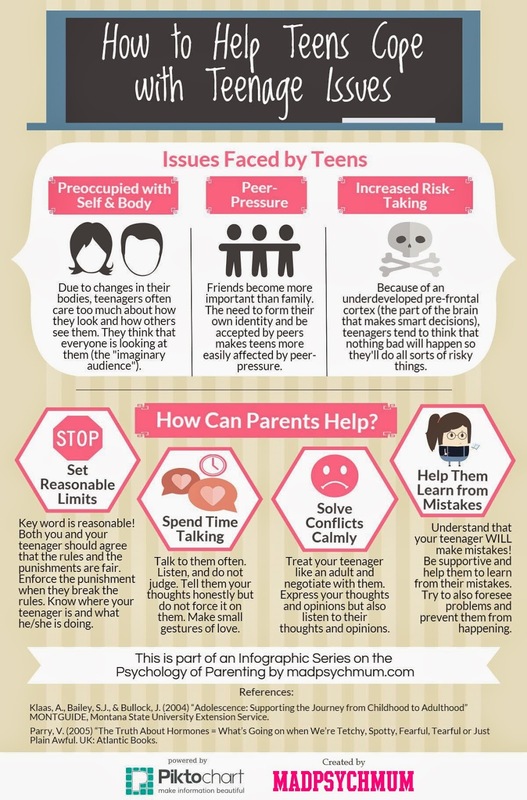 We need to first understand the issues that our adolescents (aka teenagers) face before we can help them. Usually kids start to become teenagers once they hit puberty and that lasts till about 18-21 years old where they are old enough to make their own decisions (and are considered young adults).